In PROTEST, we meet a dissident on return home from prison and a person deeply involved in a campaign to protest against the government by getting people to sign a petition calling for a change in the political system. One character is the protesting artist who suffered for his beliefs, the other a compromising and compromised playwright. In this unique interpretation, the two male characters of Stanek and Vanek will have counter egos — characters echoed in two females, emphasizing the universality of the characters. 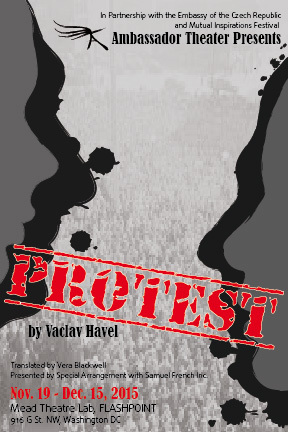 The play was written in the 1978 by acclaimed human rights activist and the first president of the Czech Republic, Vaclav Havel, and is an indictment of individuals who refuse to protest corrupt political systems and collude for their own personal advantage. It is also an investigation of human behavior and an exploration of artistic prowess exerted through circumstances of personal adversity. 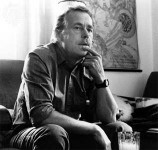 Havel challenges us in this play with pertinent questions: What is the connection between the arts and social responsibility/citizenry? What choices do we make as individuals when faced with circumstances of extreme volatility—what would we do if we had to make a choice between survival, compromise or revolution? How would you act in the midst of these extreme choices?